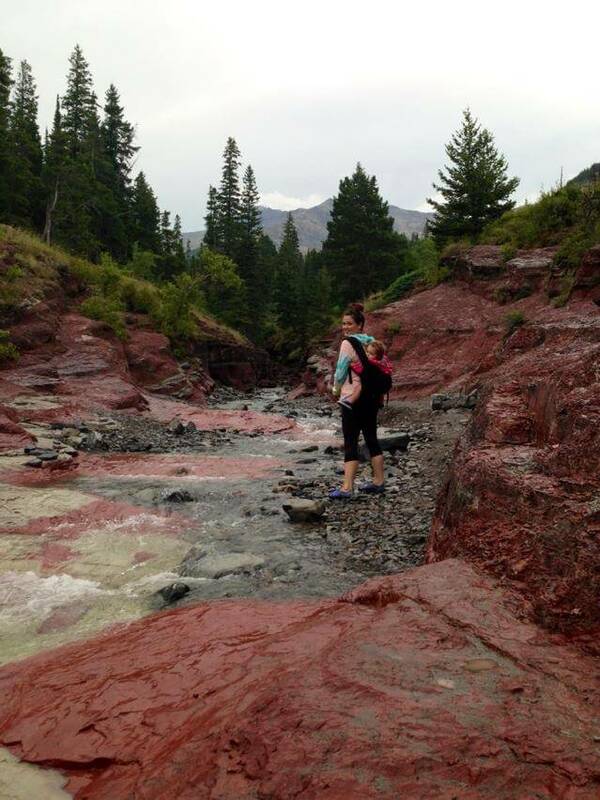 This weekend was another Waterton Adventure weekend and my fitness buddy Catherine and I went through Red Rock Canyon. 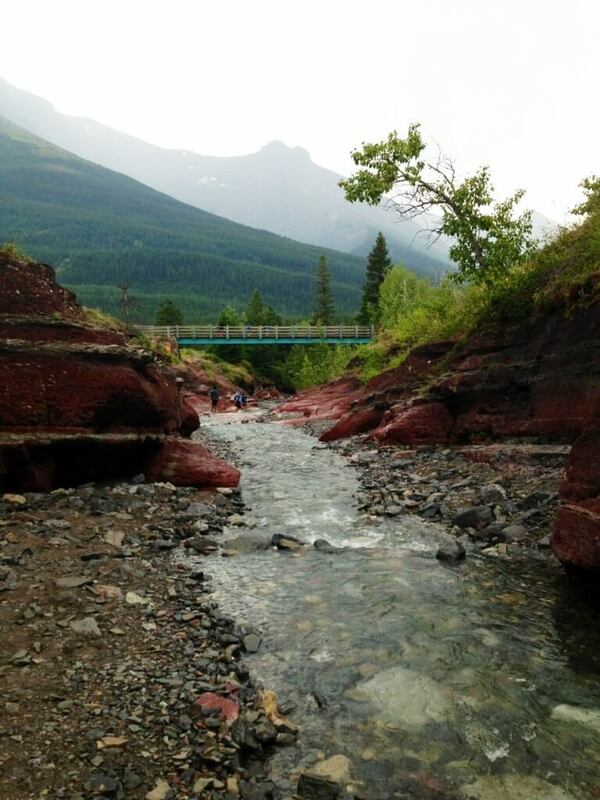 If you recall, a few weeks ago I talked about how much the canyon was changed; there was no water, and grey shale covered the bottom of the canyon hiding the red rock. Well, that’s changed again!! 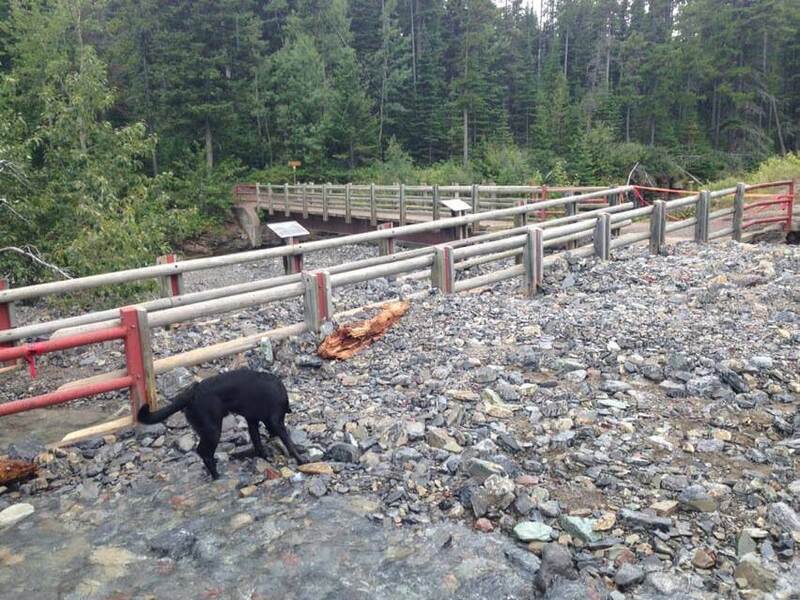 Last week, I saw on Facebook that the bridge going over Red Rock to the Blakiston trail had been washed out. But I had no idea it had been washed out by a huge wall of rock! Crazy how two weeks can change everything! 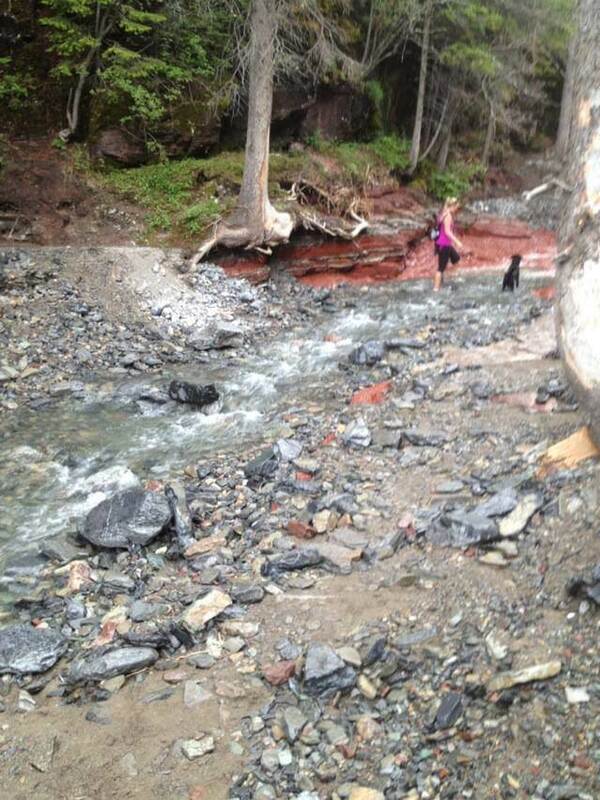 The water flow in Red Rock was back to normal. It was strong and semi-deep in places. I couldn’t believe this was the same place! Even crazier was that a lot of shale had been washed away and there were several patches of red rock on the canyon floor. It felt like the old canyon I remember! 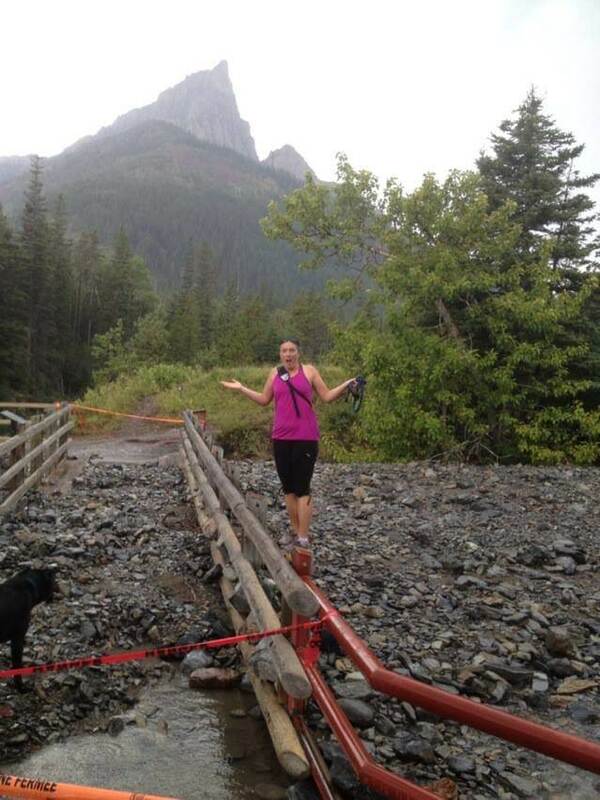 We walked up and I snapped photo after photo, in disbelief how much the canyon had changed AGAIN! Red rock was visible on the canyon floor again! When we got to the end, I peeked in to see how the hole through the log jam was holding up. 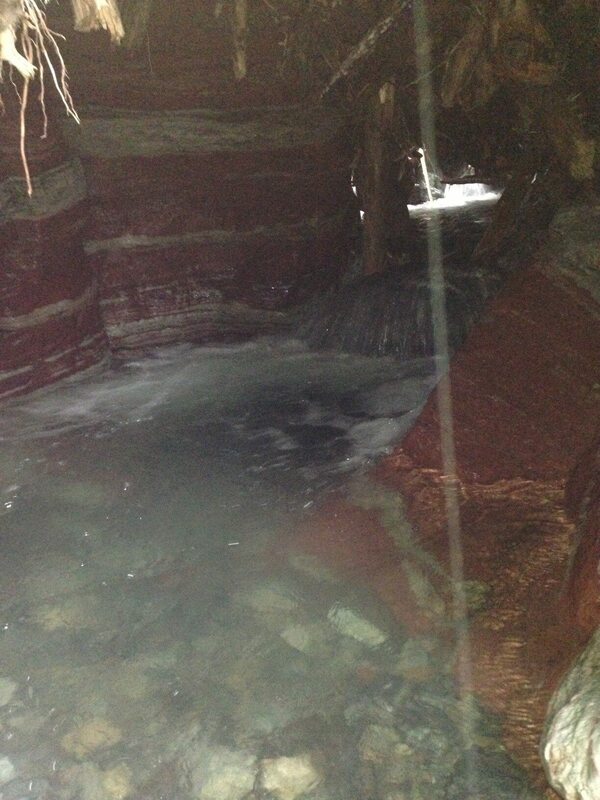 The water was flowing fast and there was a very deep pool. A person could still crawl through, but they would get a good soaking. I had a lot of comments when I first posted the change to Red Rock of folks sad to see the canyon so changed, but nature has righted itself, and the canyon is slowly returning to normal all on it’s own. Nature is an amazing thing.